Do Pregnant Women Who Use Drugs Face Different Health Risks? Drugs – particularly illegal narcotics – can have a huge impact on the mental and physical health of users. Pregnant women are prohibited from using many of these drugs. This also applies to some prescription drugs, including those used for allergies or pain management. These stern warnings are for good reasons. While drugs and alcohol can have serious psychological and physical effects on users, they can have a devastating impact on the fetus. Many dependency and developmental problems can develop, depending on the drug used and the length of use. 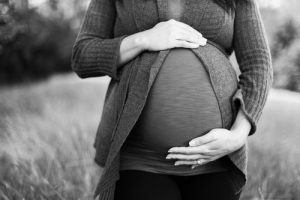 In this article, we will explore why pregnant women face different health risks and how to remain safe. What makes drugs – both legal and illegal – particularly dangerous to pregnant women is the manner in which they affect the fetus. Much of what the mother ingests will be passed on to the unborn baby through the umbilical cord and placenta. While many things that the mother consumes can be good for the fetus, drugs can have serious short-term and long-term effects. The growing fetus is highly susceptible to drugs. It has yet to develop physiological systems that remove toxins. This means that the drugs a mother transmit to an unborn baby often accumulate to dangerous levels, which can cause serious harm to the baby. The fetal stage of development: An unborn baby may more sensitive to certain substances at specific periods of the pregnancy. This does not mean that there is a safe time to use drugs and alcohol during pregnancy, however. Strength and dose of the drug: The type of drug, the dosage of a drug, and the strength of a drug can all produce different effects on a fetus. Genetic makeup: The mother and the child’s genetic makeups are other factors that can determine how drugs and alcohol affect an unborn baby. Alcohol is a drug that can be dangerous for pregnant women and their babies, but people often underestimate its effects. This is partly because of the misguided idea that ingesting certain amounts of alcoholic drinks will not cause any negative effects. While having one or two drinks a day is safe for many adults, research shows there are no safe levels of alcohol for pregnant women. Alcohol abuse can cause a myriad of brain developmental issues in the fetus. Drinking alcohol in pregnancy can cause fetal alcohol spectrum disorders and is one of the leading causes of intellectual disabilities. Alcohol exposure might produce babies born with physical problems such as facial abnormalities and might produce developmental disorders. Marijuana contains toxins that can harm an unborn baby. It can pass to the baby from the mother through the placenta, an organ that provides the fetus with nutrients and oxygen. Using marijuana can deprive the fetus of the oxygen and nutrients it needs for proper growth and development. Developmental issues: Even though the effects of THC (a chemical in marijuana) might not be apparent at birth, the chemical might cause developmental issues as a child grows. Breast milk: THC is stored in fat and could be transmitted to the fetus through breast milk, even after a mother stops using marijuana. Low birth weight: Using marijuana might cause low birth rates in babies. Withdrawal: The baby is born addicted to the drug and exhibits withdrawal symptoms. Some prescription and over-the-counter medications can also produce significant adverse effects on unborn babies. 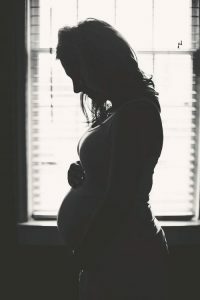 Studies on the effect of the medications are scarce, due in part to fears about the unknown effects of testing drugs on pregnant women. However, women might want to seek their doctors’ advice before taking any medications while pregnant. Their doctors might also suggest alternatives to treat pain, allergies, or other conditions.